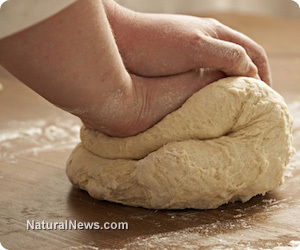 (NaturalNews) Oftentimes, the most simple solution to avoiding health problems can be found in the past - namely, time-honored foods that are rooted in tradition and wisdom. Long-established cultures, through observation and a close connection with the land and its people, developed exceptionally nourishing food staples. A modern revival of these most basic, yet remarkable, foods is on the upswing - with the following five edibles leading the way. Sourdough - Up until the development of commercial baking yeast in the 1850s, all bread was fermented with naturally occurring yeasts found in the air and on the surface of grains. With modern bread making, we have sacrificed well-being for convenience - leading to a sharp rise in gluten intolerance and digestive disorders, while tooth and bone issues are becoming far too common. A classically prepared sourdough can help alleviate these problems and more. Through a long fermentation process, lactic acid builds, which helps mitigate phytates - troublesome elements found in grains, nuts and seeds that block nutrient absorption. And research in Applied and Environmental Microbiology found that, when wheat bread is thoroughly fermented, gluten content drops to 12 ppm - a level which is deemed gluten-free. To learn more about the art of traditional bread baking, Nourished Kitchen offers an in-depth tutorial.